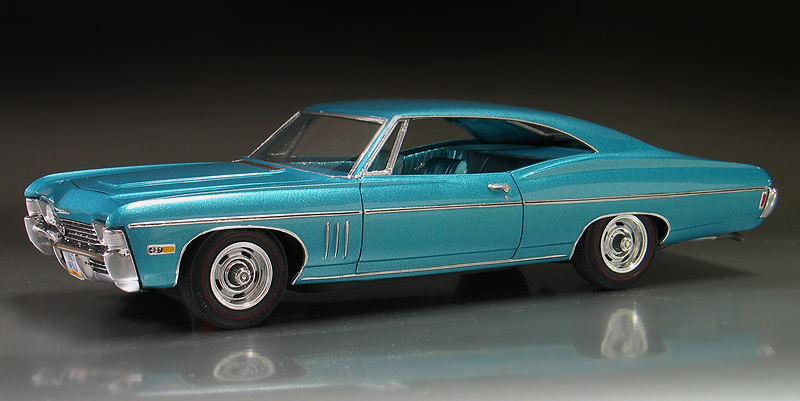 I'm a huge fan of those big old Chevy Impalas from the '60's. I think the styling of these cars was really cool. They were big, long and had great lines to them. 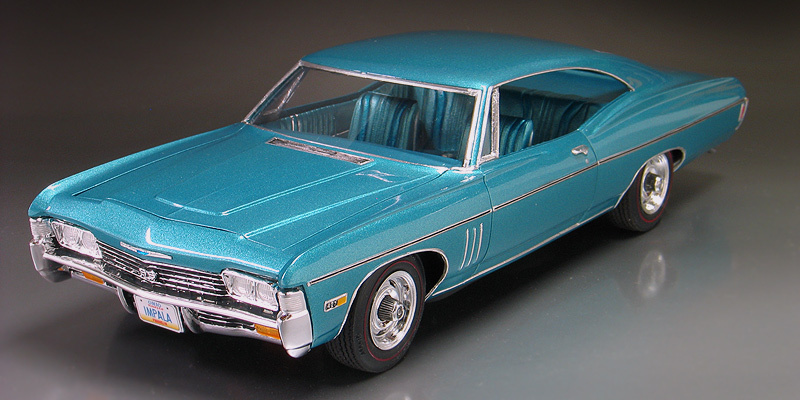 Over the years, I've collected a complete collection of 1/25th scale Impalas from '60-'70. 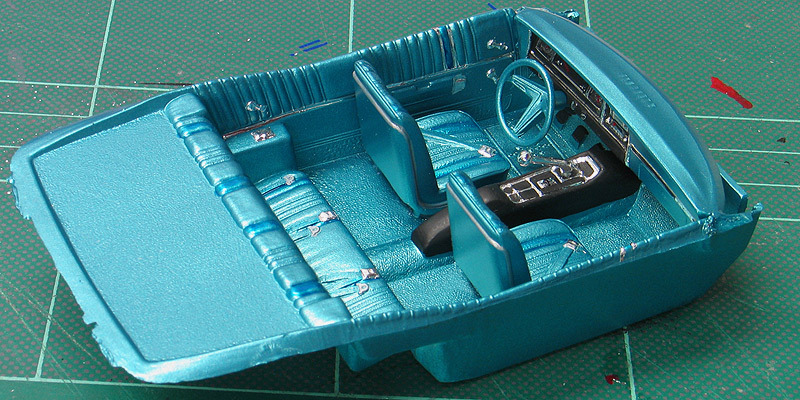 Probably the rarest of them all is this MPC '68 Chevrolet Impala SS427 kit. 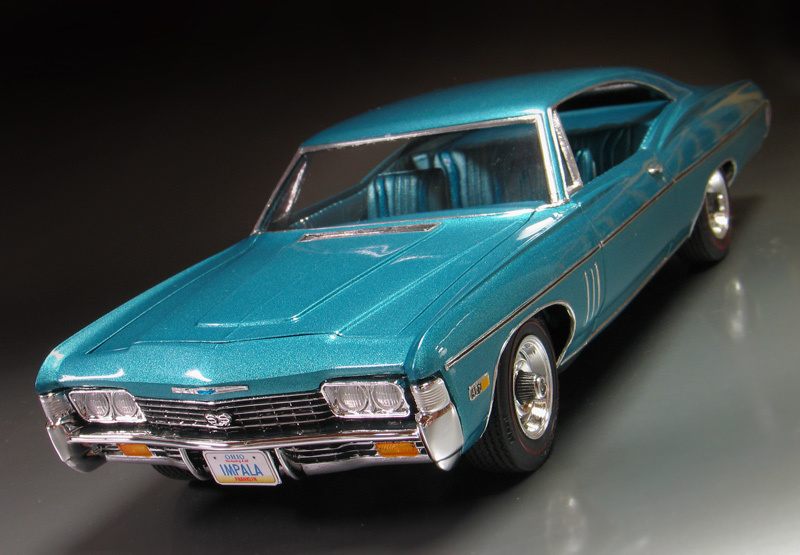 MPC only made the 1968 kit for one year and then they were updated to the '69 model year body, so the production run was low. Now, un built examples are super hard to find and command big dollars. 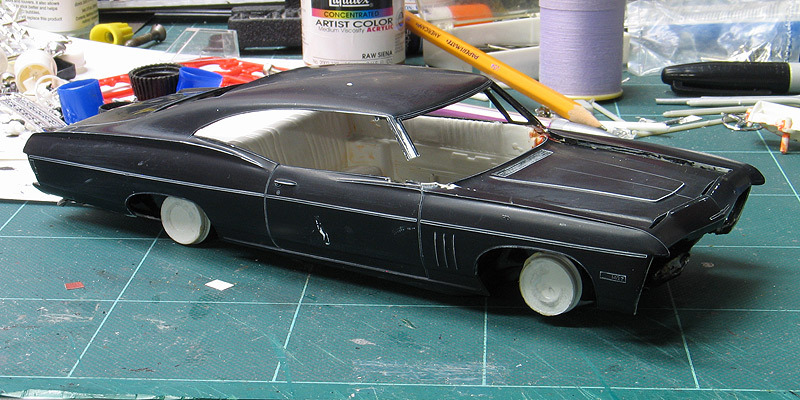 When I first got the model it was mostly complete but had a broken / missing windshield pillar and vent window on the passenger side. Also it had been spray painted black and had some glue marks on the body. The original paint was stripped by soaking it in a vat of Castrol Super Clean overnight. 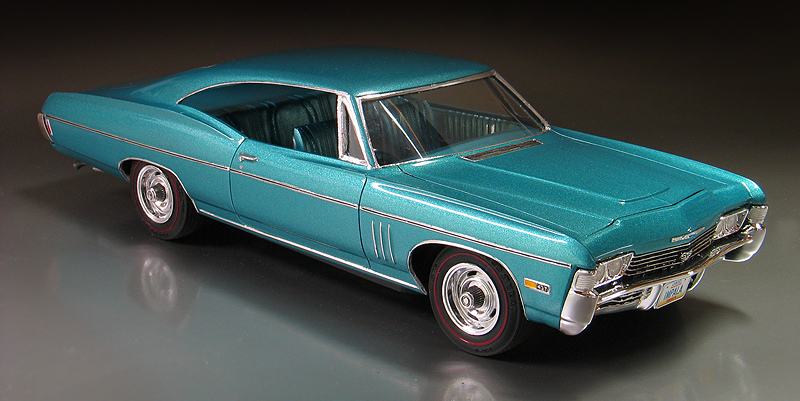 After repairing the body work, I painted the body in a factory matching "tropical turquoise" PPG acrylic enamel. Then it was clear coated with PPG urethane clear. The original MPC kit has the front Chevy emblem in the wrong place (look at the photo of my un restored model and you will see what I mean.) To fix it I made a foil casting of it and the removed the emblem from the body before painting. After painting I trimmed out the foil and relocated the emblem closer to the grill as it should be. The old chrome bumpers were also stripped and sent out for replating by Chrome-tech USA. 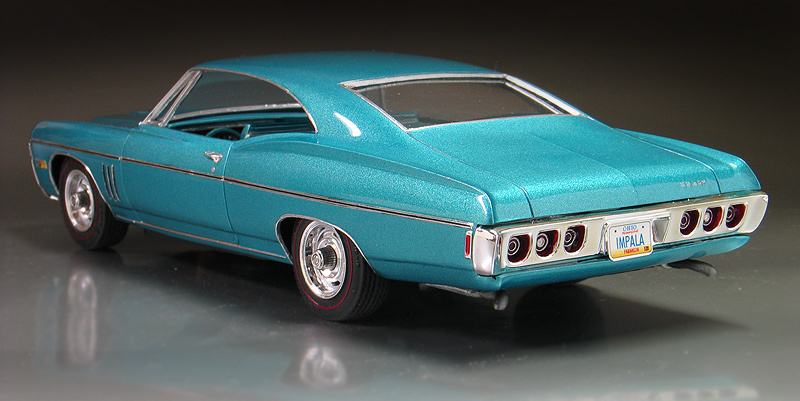 The original kit's stock hubcaps were replaced with a new set of rally wheels from an AMT/Ertl '68 El-camino kit. I also added new tires from my parts box and hand painted the red lines with a ruling pen compass. Lastly, I added custom made license plates.